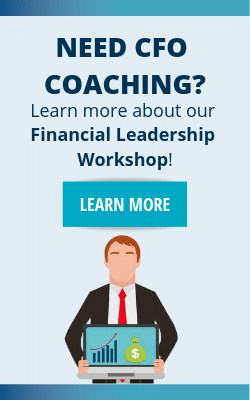 The question we’re answering is, does your business need a financial audit? Before we get to that, let’s define financial audit. The term audit can mean many different things. You can audit operations, taxes, health safety and environmental, manufacturing processes, and your accounting records. When we refer to an “audit”, we are referring to an audit of your accounting records. That is, a financial audit of the accounting transactions for your company for a specific period of time and based on U.S. Generally Accepted Accounting Principals (“GAAP”). In my career, I have dealt with audits and auditors for companies as large as multi billion in revenue with international operations and as small as $15 million in revenue and closely held. I have also dealt with auditors from each of the Big 4, as well as from small local CPA firms. In 28 years working experience, I have been exposed to a variety of situations with financial audits and auditors. In those 28 years, the big change in audits and auditors came in the years following the Enron debacle. The public markets, SEC, IRS, and Congress had to shift dramatically because of what happened at Enron. The Enron experience brought a landslide of changes to accounting, audits, and auditors. Pre-Enron, the audit process was much easier and less regulated. However today, the audit process is fairly complex. Furthermore, auditors risk their careers every time they go through an audit. And it is truly a regulated process. Their heads are on the line. If they make mistakes in the audit or if they do not follow the audit guidance then they risk, being sued, losing their job, or even going to jail due to negligence or even large mistakes. The consequences for a bad audit are heavy for a reason. It’s because their work is so vital to a company’s success. To find other areas of value to improve upon, click here to access our Top 10 Destroyers of Value to address those areas that are currently destroying your company’s value. Audits are the highest form of assurance offered by accountants. I get this question often, and it is a very good question. Does your business need a financial audit? My response is always, it depends on the size of your company, type of company, and the ultimate goals and objectives. For example, a micro company of $2 million in revenue that has 5 employees and is closely held. It has no plans of selling, and it is not it is growing exponentially and has no debt. In this example, the company really has no need to get an audit completed. Instead, save the money, and move on. But, if you are a growing $2 million company that is backed by investors and has (or plans on having) some debt, then it is worth getting a financial audit complete. Also, you will need to complete an audit if one day you want to go public. The most common situation I deal with is a company with revenue between $15 million and $200 million. They are a closely held business that has some debt. And it may or may not sell at some point. They have 20-200 employees and want to continue growing. In this scenario, I always recommend and actually push to have this company get their financial records audited by competent CPAs. Why would I recommend for this type of business to complete an audit? The audit is NOT designed to eliminate all risk, catch all errors, or provide any guarantees. But the audit will provide peace of mind that your accounting records properly represent the financial condition of the company based on GAAP. Why is that important? Because your financials are now of such quality that you can truly use them as a tool to properly run your business. Not only that, but you are adding value to your company by having an audit complete. Users of your financial statements will also have a positive sense of quality as it relates to the numbers you are presenting. Does your business need a financial audit? If you want to increase value, then yes! It will help you identify areas of value improvement. In the meantime, click here to access our Top 10 Destroyers of Value to discover other areas of improvement. The numbers behind the accounting records are still management’s responsibility, but an audit will provide an additional layer of excellence. There are other benefits of going through an audit, but I wanted to name a few that come to mind. The audit is not a one time thing. Consider completing a financial audit on an annual basis. Furthermore, this should be part of your best business practices. This really does distinguish your company, adds value, and will make your company a better company in many ways. The cost will depend on who you use to complete the audit. Most CPA firms that perform audit services bill hourly. Large Big 4 firm have higher hourly rates. Small firms may have lower billable hourly rates. I have many friends in Big 4 firms, and I think very highly of the Big 4 firms. But I would say that a $100 million revenue company with 200 employees located only in the U.S. should look at alternatives other than the Big 4. There are many great regional and local firms that can complete the audit for a much lower cost. Be careful though! Not a knock on small firms, but a firm that provides audit services should have multiple resources and skill sets to complete an audit. Just because a sole proprietor CPA offers to complete an audit for $10,000, it does not necessarily qualify him to do it. Remember, you do get what you pay for. A small company with not too much complexity and a few employees, single location will probably spend at least $20,000 for an audit, and it goes up from there. This should be something you include as a line item in your annual budget. With proper guidance from your strategic advisor, you will get value for your audit no matter what the price you pay. You do have to manage your auditors just like you need to manage your attorneys. But a well-run audit by a good firm will pay for itself multiple times over in incremental value to your business and peace of mind. 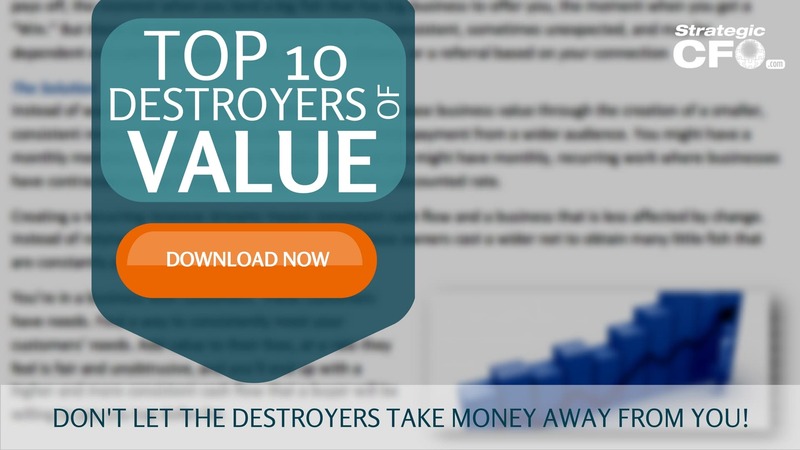 In addition, locate other areas that are destroying the value of your company with our free Top 10 Destroyers of Value whitepaper. 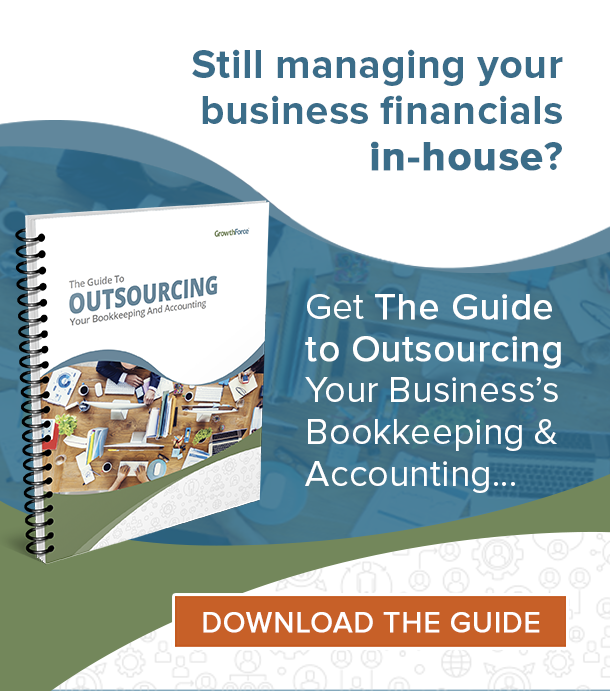 One Response to Does Your Business Need A Financial Audit? It caught my attention when you said that most audit firms that will charge you on an hourly basis depending on the size of the company. I will share this with my sister because she mentioned that she’d like to own a business in the future. She said that she wanted to make sure that her company’s budget is going to be enough to pay for an audit representation company, so I’ll help her to collect quotes.